Best-Dressed Team tee, now with a twist! 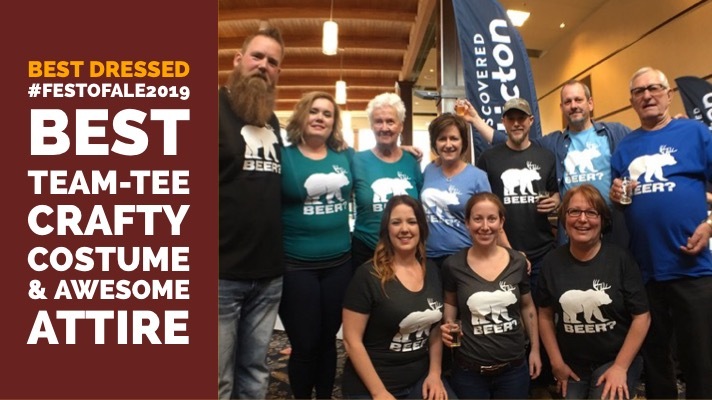 Best-Dressed Fest of Ale festival goers with a passion for fashion coming to come to the event in their best team-tees, crafty costumes and awesome attire take note. We’ve seen some amazing outfits, tremendous tees and flat out fun get ups over the years. 2019 is the year we show a little love for you! Gather your friends and get crafty or give a little thought to what you got, put a spin on it and come on in. Check in with the friendly folks from Visit Penticton and SunFM onsite in the main lobby to register. Bragging Rights and Great Prizes are up for grabs. Make your plans to join us today – tickets at the door are subject to availability only!